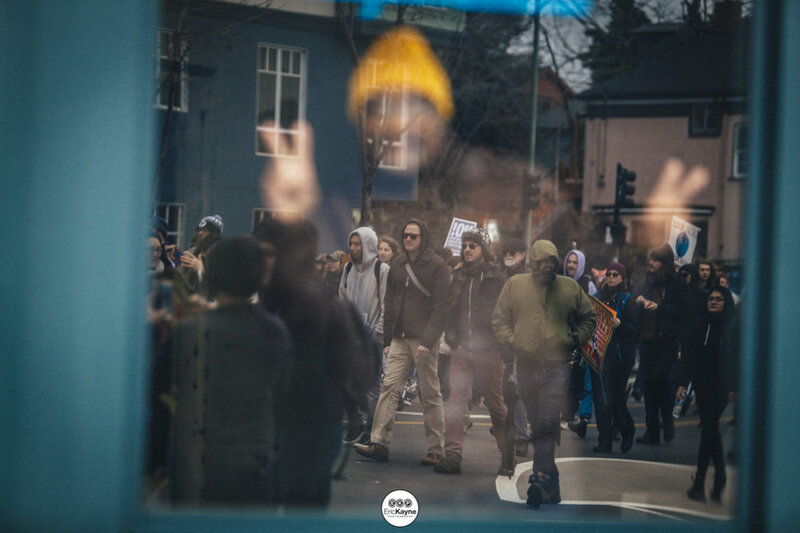 Protest coverage for the San Francisco Chronicle — Portraits, Corporate Storytelling, and Reportage Photography based in Washington, D.C.
Last week was busy in the Bay Area with multiple rallies and protests connected to the presidential inauguration. 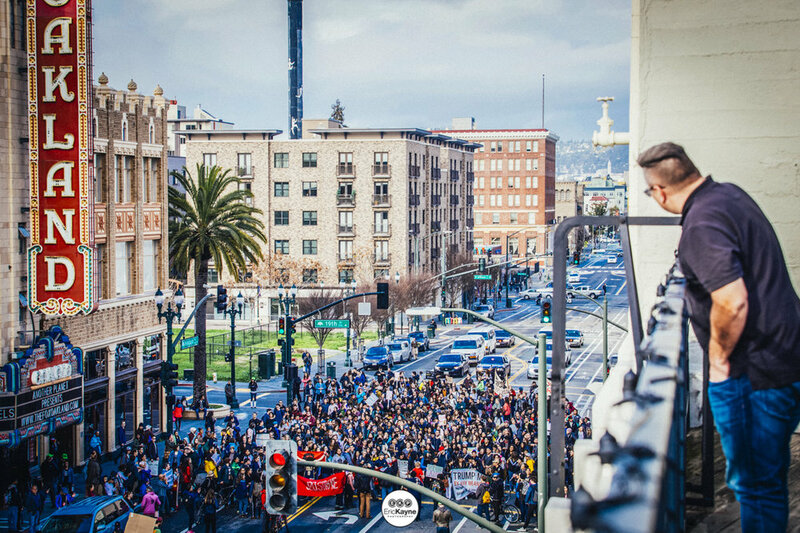 I was sent to cover two protests, both at or near Oakland City Hall on two separate days, for the San Francisco Chronicle. As this was the same area that was exposed to rioting following the 2016 election, it was all-hands-on-deck. For the protest following the inauguration, photojournalists, myself included, would work in overlapping shifts that began at 7am in the morning and didn't end until 15 hours later. For those who've never experienced it, covering a large, all-day protest with the threat of possible violence in the evening required a bit of planning and mental preparation. Having covered the riots in Ferguson, Missouri, where I was shot in the arm with a "non-lethal" projectile and sucked up plenty of CS gas, I made sure my ducks were in a row: putting the flak vest and helmet into my car, as well as making sure I had a fresh respirator cartridge in my gas mask. While covering Ferguson, I learned an important lesson. I had bought a gas mask from local Army surplus store the day after my first night of coverage where I found out just how nasty CS gas is. Like clockwork, gas came again the next night. It was only then I learned that filter cartridges have expiration dates. Whoopsy! Luckily, things didn't progress in that direction in Oakland this time around. After all was said and done, I think only three people were arrested out of a march of thousands, which I've learned is apparently very tame by Oakland standards. By the way, I'm totally great with tame protests. Imagine looking for moments to photograph while simultaneously keeping an eye open for anarchists looking to punch me, or grab my camera, while carrying about 30 pounds of gear following four hours of marching. It's a lot to think about. The images I've included in this post aren't necessarily the most storytelling or dramatic, just my favorites from the last couple of weeks. Enjoy!